Askonas Holt is a friendly and expanding organisation, based in central London. From time to time opportunities arise within the company, suitable for talented and committed individuals with a passion for the arts. All vacancies will be listed below. 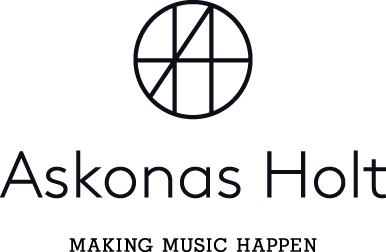 At Askonas Holt we actively manage our own recruitment. On the rare occasions that we use agencies, we have an excellent and comprehensive preferred supplier list in place with negotiated terms and conditions. Unless we contact you, we will not accept agency applications. Askonas Holt is an equal opportunities employer and we welcome applications from all suitably qualified persons. This six-month internship will give you the opportunity to use your administrative and people skills whilst learning more about marketing and artist management. The successful candidate will support the day-to-day work of the Office and Marketing teams, as well as working on adhoc projects as required. The successful candidate will be required to write news stories and other content for the Askonas Holt website, and to create social media posts across a variety of channels. You will be expected to keep a close eye on relevant news channels and play an active part in suggesting content, and to stay up-to-date with industry developments, both in classical music and marketing. As well being the first point of contact for all visitors to the office and telephone enquiries, you would be dealing with external suppliers on a daily basis. This is a fantastic opportunity for a committed and passionate individual looking to gain hands-on experience in marketing and/or artist management. We are seeking a bright, ambitious and self-motivated individual with a strong interest in classical music, especially vocal/opera who requires a work placement as part of their Higher Education course. They will work primarily within the singers’ department however they may have the chance to work with other departments in the company. The individual will have the opportunity to experience working life in a leading arts agency and to gain invaluable experience through work shadowing managers and administrators. Applicants should have a strong interest in the performing arts, especially classical music. This role requires strong attention to detail, efficient administration and planning. The possession of strong computer skills and competence in one or more foreign languages would be an advantage. The start date of the placement is negotiable; however, the ideal candidate would be able to start in January 2019 and work with us for three months. Ideally you would be able to commit to full time but we will consider part time applications. Please state the minimum number of days you can commit to on your covering letter.